2015 has already been a big year for the UK’s online mattress industry. Several new companies have started selling online, among the two most popular and well known are Leesa and Eve. Both of these mattresses are all foam, both are designed for an ideal universal comfort feel, and both are made in the UK. While there are many similarities, there are also significant differences. But of course the big question, which mattress is truly the best? Sleepopolis put both the Leesa and Eve mattress to the test in our comprehensive mattress comparison review. Continue reading below to see which of these online mattresses reigns king of the bedroom! Unfortunately, there are no coupons for the Eve mattress currently. In a bit of a rush? Click here to skip down to the review summary for the abridged version. 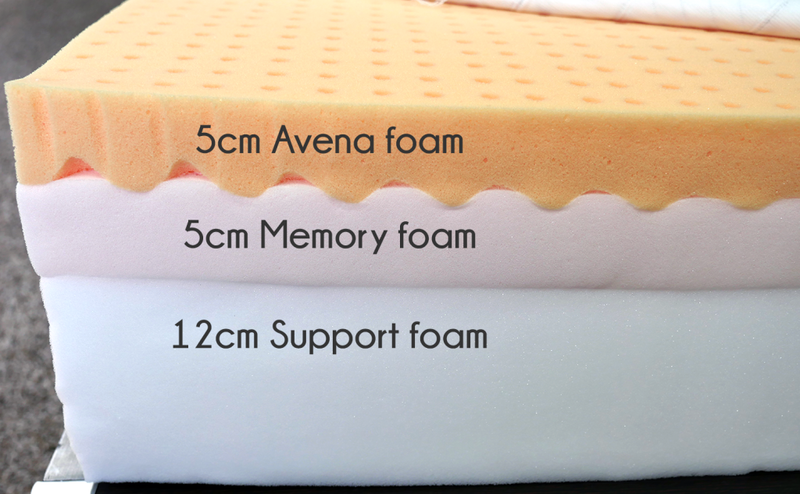 The Leesa mattress is built from three layers of foam and has a total thickness of 22cm. Top layer (comfort + cooling) – This is a responsive poly foam layer. It’s a specific type of foam called Avena. Avena has a feeling that is a bit of an in-between latex and memory foam. It’s got good response and good bounce, but also provides nice pressure relief and hug. This layer is 5cm thick. Middle layer (support + pressure relief) – This layer is 5cm thick and is memory foam. It provides great pressure relief, support, and contouring. Bottom layer (foundational) – The base layer is 12cm thick. This is the foundational base, supporting the above layers. The Leesa cover is a blend of polyester and Lycra. Polyester adds great softness and durability, while Lycra provides stretch, and more importantly, great cooling. Lycra is the same material used in performance sportswear. The cover is woven using a special machine that weaves a seamless cover. The only seams on the cover are those needed to make the corners. This seamless cover gives the Leesa a sharp look, especially when combined with the 4-bar design. The cover has a unique and modern aesthetic. I quite like that the Leesa doesn’t use the standard two-tone design that you see almost everywhere else. The Leesa has a medium feel. It has a firmness of 5-6 out of 10 on the firmness scale (with 10 being the most firm). The Leesa mattress has a great comfort to it. Between the Leesa and the Eve I personally found it to be a bit more comfortable. It has a delightfully balanced hug, which I attribute to the way the Avena foam is able to mould to each sleeper’s unique body shape, combined with the pressure relieving memory foam. While lying on my back I experienced around 4 cm of sinkage at the deepest locations. The Leesa does a great job of providing support, while still contouring and allowing for ample pressure relief and comfort. The Leesa has that certain “it” factor. It feels very similar to Tempur and other ultra high end mattresses I have tested. The Leesa did a nice job and creating consistent support. I felt supported in all sleeping positions. Additionally, the Leesa also has a nice level of bounce and response. It’s certainly not at the level of a coil mattress, however, it is notable enough to help aid in amorous activities. Lastly, with regards to cooling, the Leesa is exceptionally good. The layered design, Avena foam properties, ventilation holes, foam air channels, and breathable cover all work together to great effect. Leesa is one of the most breathable and cool foam mattresses Sleepopolis has tested to date (including both US and UK mattresses). NEED MORE – Read the full Leesa mattress review for more details. Refunds – 100% money back guarantee during the trial period, no re-stocking or other fees to return the mattress. 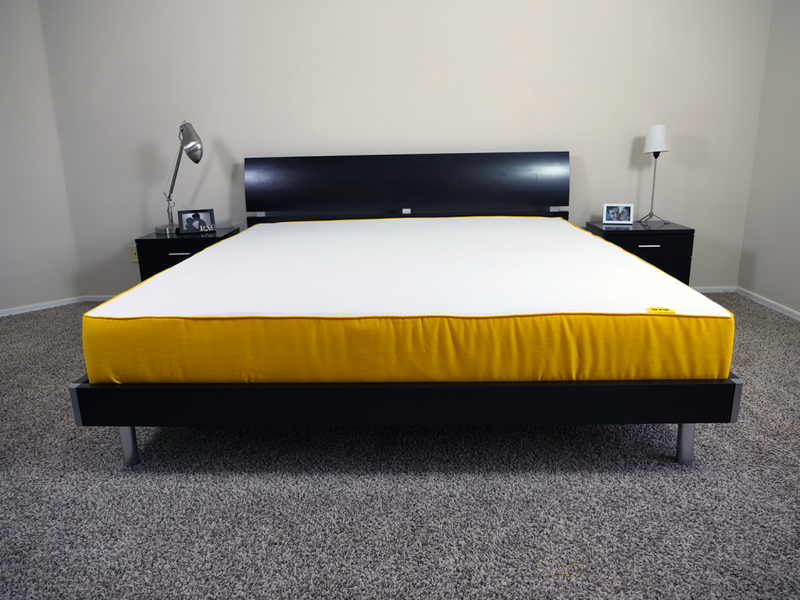 The Eve mattress is just over 10″ thick and constructed of 3 layers of foam. Top layer (comfort + cooling) – The top is a 4cm memory foam layer. Memory foam is designed to mould to your unique body shape. This creates great pressure relief, contouring, and hug. Middle layer (support + pressure relief) – This layer is a 3cm thick polyurethane foam. This layer provides a measure of support and pressure relief, but it is mostly there to act as a transitional support layer. Bottom layer (foundational) – This layer is 18cm thick. This is a support base foam. It supports the sleeper and acts as a foundation base. The Eve mattress cover is a polyester blend. The white fabric on top is a basic knit fabric. It’s fairly thin (by design) and has a nice softness to it. 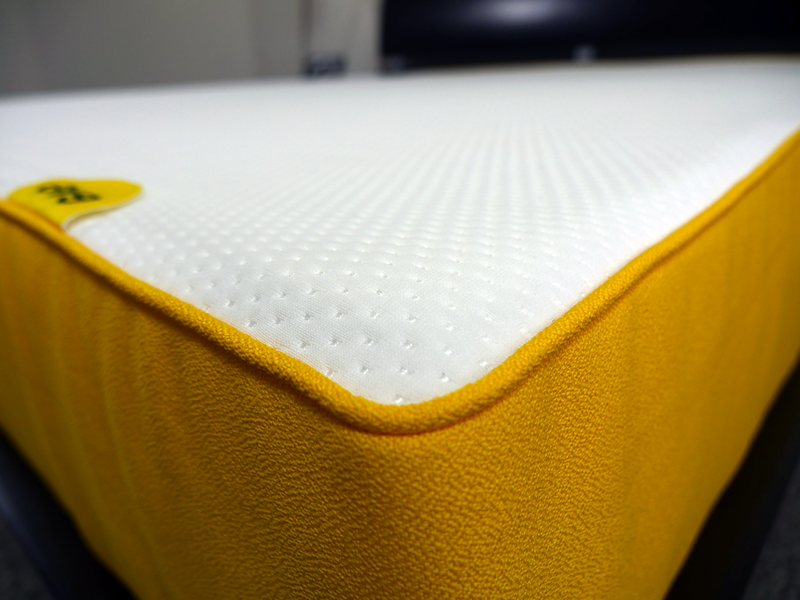 The yellow side panels are a bit sturdier and their sturdier construction is designed to protect the sides of the mattress. Aesthetically, the cover follows the pattern of most other mattress covers, using a two-toned high contrast design. The cover isn’t necessarily bad, but it’s also not tremendously impressive. The feel, aesthetic, and quality just don’t feel like they are at the same level as the Leesa. I was a bit disappointed to find numerous loose threads on the interior of the cover and a sizable drop of glue on the exterior of the cover as well. The Eve has a medium feel firmness. It sits at a 6 out of 10 on the firmness scale (with 10 being the most firm). The mattress allows for moderate amount of sinkage, however there’s not a dramatic contouring hug. 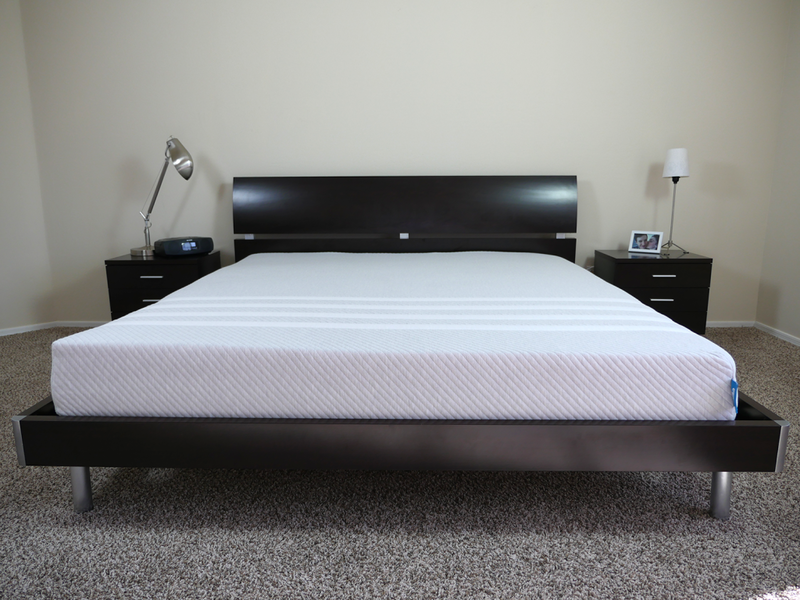 The Eve’s top layer of memory foam helps to improve cooling and breathability in the mattress. 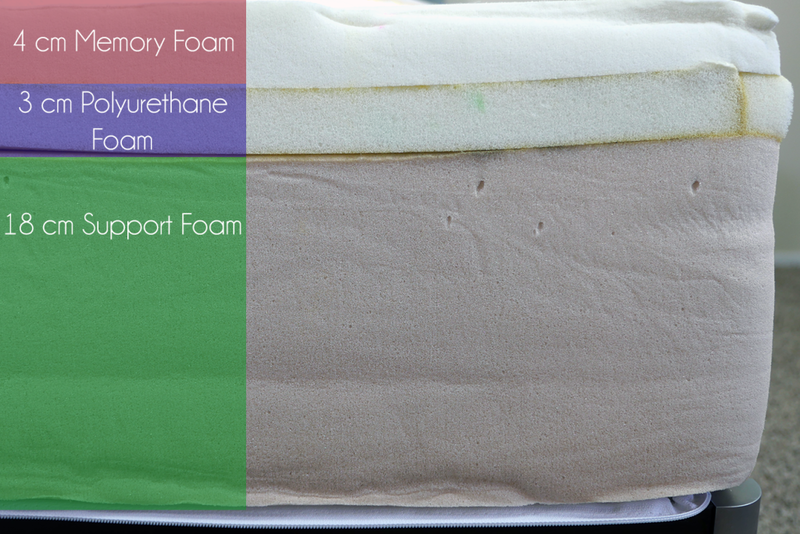 The layer of polyurethane foam below the memory foam creates pretty good support and pressure relief. Unlike traditional memory foam mattresses, the hybrid two layer design helps prevent any type of “stuck” feeling in the mattress. The Eve has good support, and okay deep compression support. The thickness of the layers leaves a little something to be desired. At only 7cm thick (4cm memory foam, 3cm polyurethane foam), the comfort layer isn’t tremendously thick. If you’re a lighter sleep this isn’t as big of an issue, however for heavier sleepers this can create a lack of support by putting too much pressure on the layers and sinking too deeply, beyond the comfort foams. Refunds – 100% money back guarantee within the trial period, no re-stocking or other fees for returning. Major comparison points and differences between the Eve and Leesa mattress. Refunds They will pick up / dispose for free. They will pick up / dispose for free. Should you buy the Eve or Leesa mattress? Both of these mattresses have many pros and some cons. They are both affordable, available online (so easy shopping), made in the UK, and designed for a universal comfort feel. However, after my sleep test and analyzing a full range of comparison data points it really wasn’t much of a contest, the Leesa is simply the better mattress in every criteria. The Leesa has a more balanced firmness, exceptional cooling, moderate hug, pressure relieving contour, great support, and a stylish forward thinking cover that wraps the foam mattress beautifully. The Leesa feels more like a £2000+ Tempur equivalent mattress than a £750 mattress in a box that comes to your door. You want a mattress of medium firmness. The Leesa is a 5-6 out of 10 on the firmness scale and should suit most sleepers. It’s equally comfortable to lie on your back, stomach, or side. You want a luxury level mattress. The Leesa materials, construction, build, cover, and service consistently communicate a high level of quality. The Leesa just has that “it” factor. The Leesa is comparable to any Tempur mattress, but dramatically less expensive. You like a moderate amount of hug. 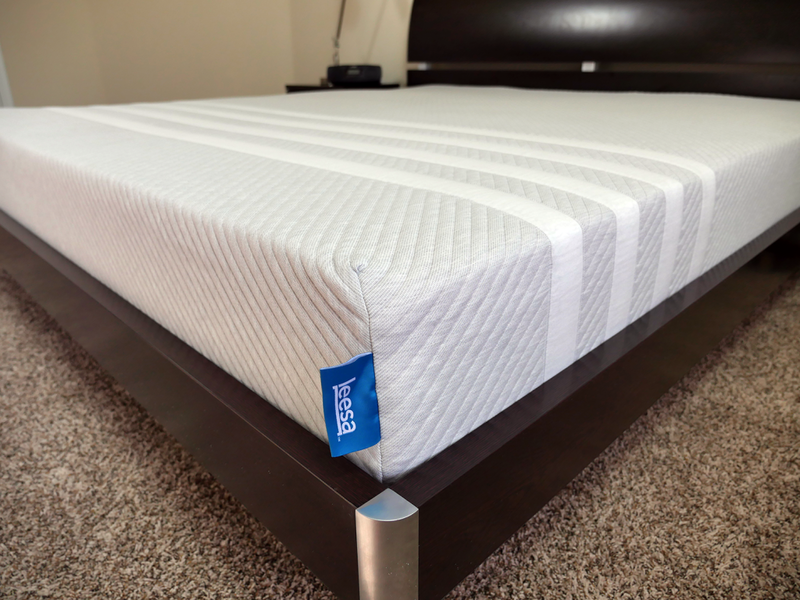 The Leesa lets you sink a couple of inches into the mattress without ever having to worry about sinking through it or being overly enveloped by the foam. The hug provides great pressure relief and a nice feel. You like to sleep cool. The airflow characteristics of the Leesa’s top layer cannot be overstated. This combined with the breathable cover make for a strong team that delivers exceptional cooling on the sleeping surface. You like a little bounce in your bed. The bounce provided by the Leesa is excellent. The bounce isn’t so extreme that it creates motion transfer issues, but it is enough to help the mattress remain comfortable and responsive. Additionally, the added bounce helps make amorous bedroom activities highly enjoyable. For more information on the Leesa mattress visit Leesa.co.uk. If for whatever reason the Leesa just doesn’t sound like the right choice for you the Eve mattress can still be a good option.